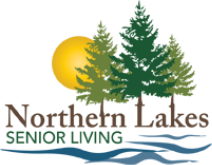 Continue to enjoy your active lifestyle with Independent Living at Northern Lakes Senior Living. Our community offers the ultimate in convenience and security with no home maintenance issues to take up your time. In addition to apartments with the features you want, our community offers a variety of activities and programs to stay engaged socially and to connect with other residents. For more information about Independent Living call 218-829-3337 ​or complete the form below. ​F – 1 BEDROOM+DEN / 1 BATHROOM – 1035 SQ. FT.
​J – 1 BEDROOM / 1 BATHROOM – 791 SQ. FT.
J1 – 1 BEDROOM+DEN / 1 BATHROOM – 1006 SQ. FT.